Oh hey there friends! Remember when I said I was going to include a video tutorial in FridayFaces and blah blah blah? BOOM It’s here. Your girl delivers bihhhhhh! Don’t forget to subscribe on YouTube because I’m doing chatty videos too and those won’t be included in FridayFaces posts. It would be tragic if I didn’t get to tell you about other stuff between tutorials. TRA-GIC. 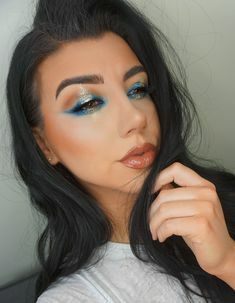 Now granted this tutorial is a no eye makeup look, so it’s a simple one but as I mentioned in the video it does include a lot of little pieces of technique that you can apply to strengthen your overall makeup game, ya know what I’m saying? I initially did this look because I was going out and I wanted to look cute, but I had just gotten my eyelash extensions done so I knew I didn’t want to have a ton of waterproof liner and shadow and primer to take off at the end of the day. Fun fact about lash extensions: you can’t get them wet for the first day. I do have a pretty good way of taking off your makeup around your extensions without damaging them though, perhaps I should do a post on that. The night I wore this I had the best strawberry jalepeño margarita. I have to try to make it at home because I’ve been thinking about it ever since. We also got a cheese board as an appetizer. It was a good day. Here are the still photos of the look along with product list, and the video tutorial is above. Ya digg? 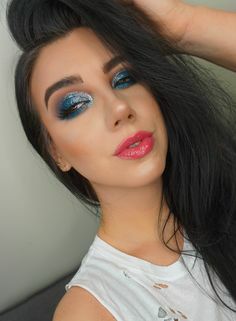 Now for the non-tutorial looks of the week. You may be thinking “Mannnn I wish the tutorial was on these looks this week!” Here’s what you do, go follow me on Instagram. I’ve been choosing based off which look was most popular on there. You can even leave me a comment that you want a tutorial on it so I know you mean business. With this look I was back at it again with the rusty tones. I can’t stop. Like literally I try to stop using them and I just find my hand dipping the brush into something warm toned or orange. I feel like maybe the universe is telling me to use them at this point because my brain is not even making a conscious decision on the matter. Who am I to argue with that? I ain’t sh*t.
The last look of the week is basically a highlight festival. I just got the new JeffreeStar Skin Frosts so you’ll have to pardon me if I loook like a disco ball for a while. Quick mini review of those though…OMG. They are pigmented and gorgeous and the pan is HUGE. Like when you think in photos that they look big you have no idea when it’s actually in front of you. It’s like a flapjack for god’s sake. I’m basically all set on highlighters for the next two decades. Does that mean I won’t buy any more? No of course not you whacko, but if the apocalypse happens tomorrow my cheekbones will still be poppin’ for the foreseeable future. Thanks for reading, hope you enjoyed the addition of a video tutorial! See you next week, sweetiepops! Top Five Best Sheet Masks!